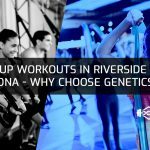 In our previous post, we went into some detail about what sets us apart here at Genetics Training Facilities. 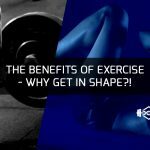 While there isn’t just one thing that makes us soar above all other gyms in our field, the opportunity to combine aerobic exercise with a variety of strength training techniques certainly doesn’t hurt our case. We also outlined our heart rate monitoring cutting-edge technology, which lets you take ownership of your workout by having full control, so you can stay within the optimal cardio heart rate throughout the duration of your workout. That is a tangible element that we provide that you aren’t likely to find at other group gym classes. To sum up the previous post, we also took a look at our 3 co-founders here at Genetics Training Facilities: Alan Schiller, Casey Christianson, and Patrick Marquez. Each brings their own experience and unique skill set to the table, and they team up to provide our gym members with a comprehensive experience. Essentially, we’ve fostered a community environment where everyone wants others to succeed in whatever fitness journey they are on. But beyond that, we also provide one-on-one counseling sessions where we will get into detail about your personal nutritional needs, workout techniques and exercises that appropriate for you, as well as areas for improvement in each category. Combining the community aspect with a individualized, custom plan, is certainly another facet of our group fitness gym that sets us apart from the pack. Now that we’ve successfully recapped our last article (sorry, there was some important information in there), let’s move onto today’s topic! But before we dive in, allow us a brief aside in reference to positive reviews weighed against negative reviews. 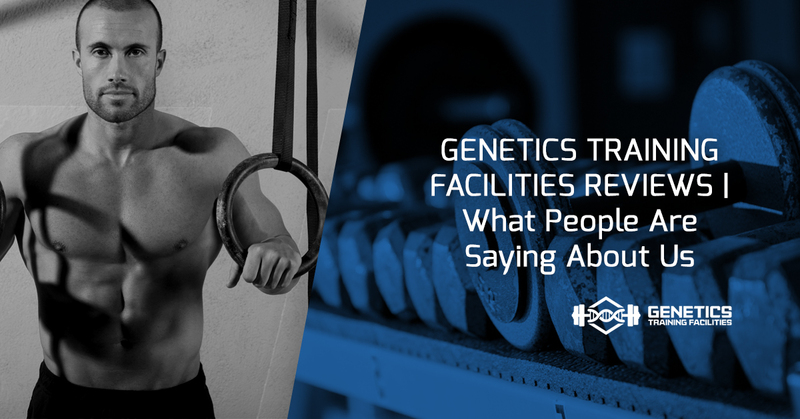 While you are hard pressed to find any negative reviews about Genetics Training Facilities (not a challenge), we want to explain why positive reviews are so important to us, and my other businesses in an array of industries. The argument goes something like this. Negative reviews are much more common than positive ones because when people don’t get what they paid for, they’re going to let others and the business know about it, generally speaking. But on the flipside of that coin is where we take pride. People don’t usually leave positive reviews upon receiving a service or product they purchased, even if it is exactly what they wanted, and they are completely satisfied. That makes sense, too. People move on with their lives once they perform a transaction. That is why we are so happy to share with our readers what people are saying about their experience with us at Genetics Training Facilities. We know we are doing something right when people go out of their way to tell others. Aside finished. Let’s dive into what people are actually saying. First, thanks for your kind words and taking the time to let us know what you like about us, Carlos! Second, we can only reiterate what Carlos is saying about our trainer’s knowledge in fitness and kinesiology. Just on paper, our co-founder Casey has certifications in ACSM Exercise Physiology, Heart Zones, threshold certification, and a Bachelor’s of Science with a focus in exercise science from California State University, San Bernardino. On top of that, our other co-founders Alan and Patrick have considerable experience working at internationally brand health clubs, in addition to having a passion for perfecting their craft and learning more about fitness every day. Such elements are vital to the success of any gym, so it’s nice that people like Carlos are noticing those efforts! Keep an eye out for our official grand opening date at our new facility in Riverside, just a short drive from Anaheim and Corona, among other nearby cities. Lexie, thanks for letting us know how excited you are about our concept. We believe that combining elements that include body weight training program, aerobic exercise, weight loss workouts, all within a fit camp, boot camp workout framework, is the key to making real changes. This way, you can focus on burning fat and gaining strength at the same time, rather than compartmentalizing your workouts on different days. Thanks, Stephanie, for your kind words and five-star rating. We can’t wait to see you on our grand opening date, so be looking out for when that is! Alan, like all of us here at Genetics Training Facilities, can’t wait to help our gym members achieve tangible results. These results will help you feel better about not only how you look, but can give you more confidence and overall fulfillment in all areas of your life. And that’s exactly why we love doing what we do. Don’t hate us for combining the last two reviews of the day here. Jason and Mauricio, we value your testimonials just as much as the others, don’t worry. Mauricio talked about getting good fitness advice, which is exactly what our co-founder Patrick Marquez specializes in, as we’ve already noted. Expect to get personalized advice on what best suits your needs. We will take into account your health concerns and any physical ailments you have that we can specifically target for improvement. Jason, yours was short and sweet. We don’t separate the mind from the body, but respect how they impact one another in this process. Having a supportive community is instrumental in your success at Genetics Training Facilities. Sign up for a free session of our group gym class, Our Complete Workout. Here is what you can expect, to sum up. Cutting-edge Flexline equipment means we can track weight, reps, and velocity on more than 100 exercises. If you are in a spot where you feel like it’s time to make a change and see tangible results because of it, we ask that you consider Genetics Training Facilities by signing up for a free class. You’ll get a feel of what we are all about here, and what being a part of a fitness community can feel like. Whether you are in Riverside, Corona, or the surrounding area, we’ve go the people and technology that can help drive you onto a better life. Check out our class calendar here! We would love to meet you.